Simply stated, at Finke Distribution, our services are predicated on the needs of our customers. We provide solutions for your warehousing, storage and distribution requirements. 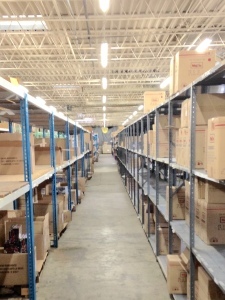 Whether you are looking for long term solution with full service management of your inventory and Just-in-Time delivery or just need a short term solution for seasonal overflow, our warehouse is equipped to handle it for you. Contact us on-line or call us directly to discuss your unique requirements.